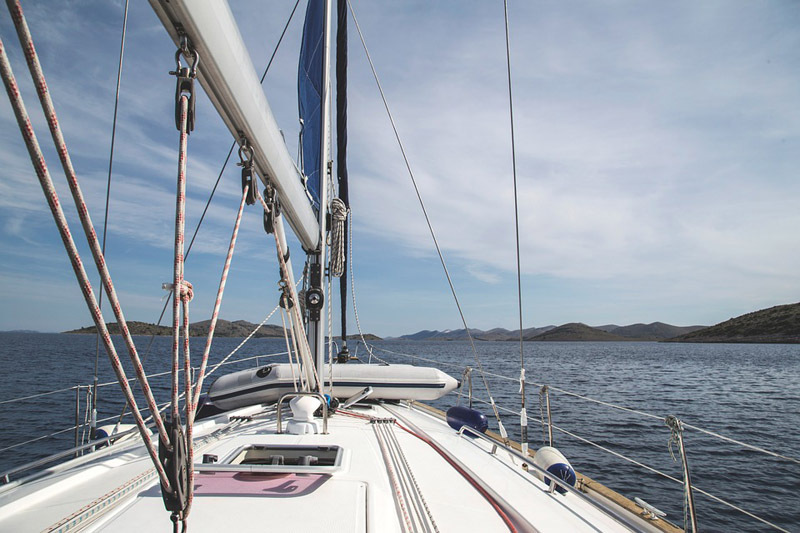 Sailing out in the harbour of Inishbofin, Sea serine, nosing into a gentle breeze, life couldn’t be better. Glide out past the bishops rock, past the Islands sitting off the south side of Tra Gheal beach and over towards Inishark. You will see the islands in all their beauty while majestically sailing on the Atlantic, another view to the wild atlantic way. We’ll give you a lovely locally sourced packed lunch picnic to have onboard while relaxing and looking over the seal colonies, Seals populate the waters around Inishbofin and the neighbouring Islands, up to several hundred seals can populate the area at any time and this experience is one not too be missed. Your guide will tell you of the history of the islands, the seas, the people and tales of times gone by. What a beautiful day, lets go Paddle boarding! It’s overcast, it’s wet, what to do? Lets go Paddle boarding! Stand up Paddle boarding is a great way for all the family to get out and have fun together. Enjoy a beautiful wet or dry tour of Inishbofin Harbour and Cromwells Barracks. Hop on-board at the Old Pier, make your way around the inner harbour and see the old salting plant on Glaislaun Island, paddle along the coast hugging the inlets and hopping off to walk the beautiful Port beach, popping back on to paddle up towards the Barracks and again hop off to go for a walk into the impressive star shaped fort once built for Cromwellian troops. 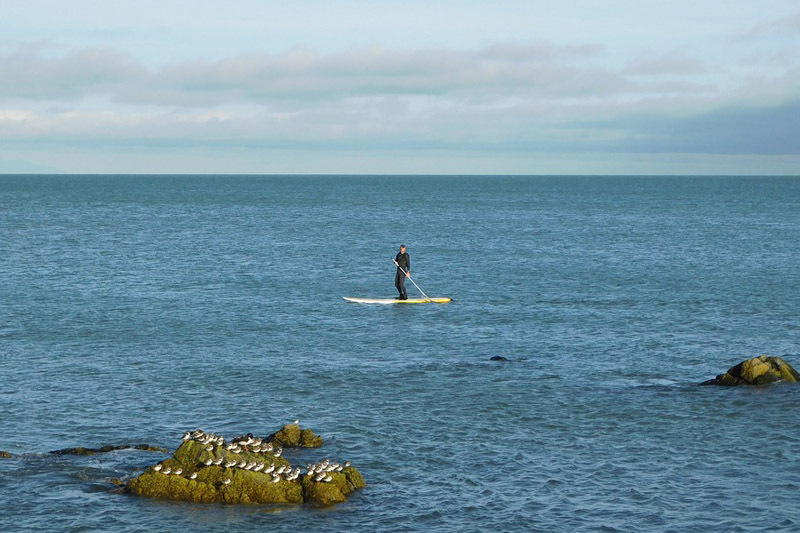 From here, paddle out while staying in the shelter of Gun Rock to the Light Tower, traverse the bay over towards the Doonmore hotel and make your way back along the other side of the harbour and relax. 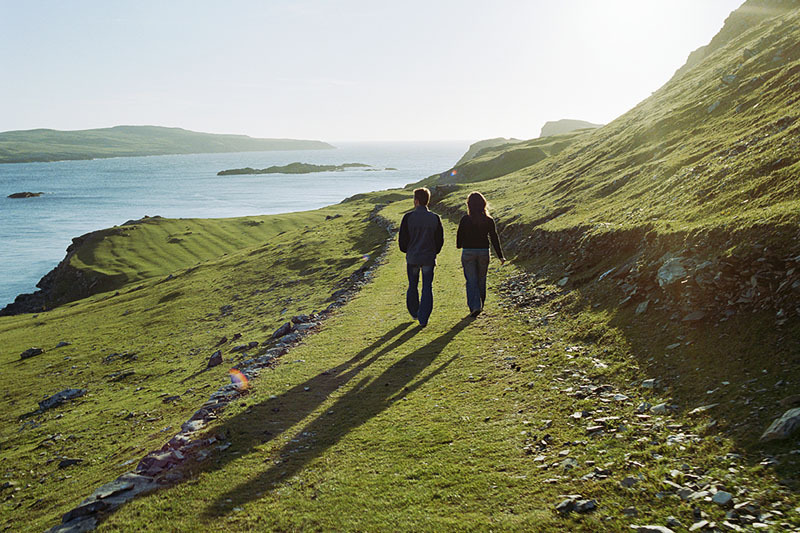 Enjoy all the Blueway has to offer and see the Wild Atlantic Way from a whole new way. Fishing is great fun and rewarding too, In your pack there is information on which bait to use for each of the fish types, how to cast and recover your line, how to remove the hook if you catch the fish and also how to clean the fish. 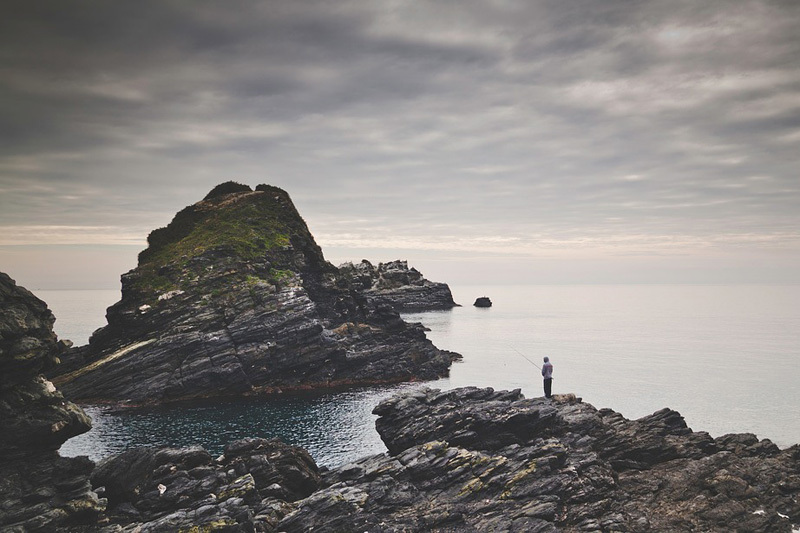 We will ensure you all have equipment to get you on your way to any or all of the 3 identified and marked fishing sites we have chosen for you on the island and enough baits so you will have an enjoyable day fishing for an array of fish. While you are waiting for that fish to bite you can read through the information pack you area given on the History of fishing on Inishbofin, the types of fish we catch off the rocks and the types of fish you can catch off the beach. There is some information on the stocks that once surrounded our island and how intensive and over fishing has almost eliminated these species from our waters. You will also find a bag for bringing your catch back to us to fillet and prepare for you should you wish. We are always happy to cook your catch for you while you fill out our experience comment card. Start by choosing the lunch you would like to bring with you, do it from the comfort of your own home or before you arrive on the Island, even do it when you arrive at the pub. Then the fun begins, people can if they like pop to the beach for the picnic or they can go on a voyage of discovery, we give you a trail to follow, information on what you can expect to see and discover on the walk, The walk will take in stops including places of historical interest, an area of unique flora, what can be found in the inter-tidal range, a scenic outlook post and a walk through a conservation bog land. You get information on all these before you start the walking experience. We will take you on a path that will show you some of the most beautiful places the island has to offer and see some of the historical places and learn how things were in by gone years. You book the menu you require and it is prepared for collection. The Picnic comprises of your menu, sourced where possible from local ingredients all packaged in re-usable, returnable vessels,the lunch pack includes all necessary equipment to comfortably dine and is all returnable and washable for reuse.You will get Leave no Trace literature, a description of the principles we would encourage them to adhere to and a bag for any refuse. Through a reading list on our website, you will be given an opportunity to research and read up on what you are going to see when you arrive on Inishbofin, you will be able to read the histories of the areas you are going to be walking on.